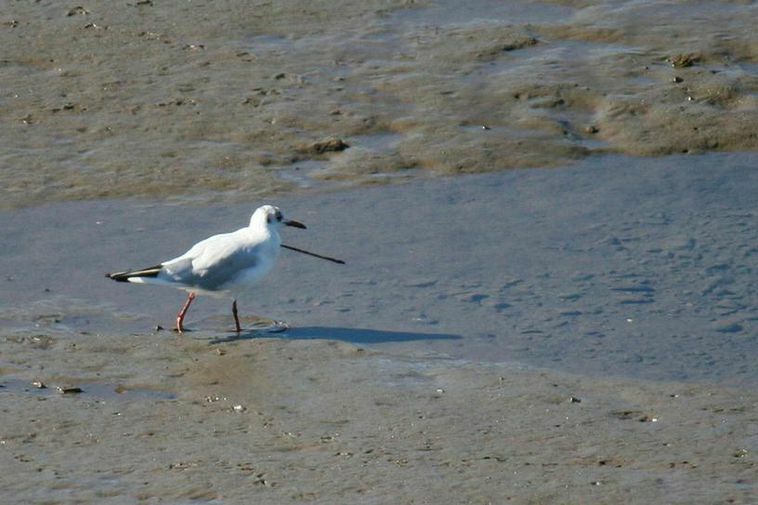 A black-headed gull nicknamed Örvar (Arrow) due to an arrow stuck in his neck has again been spotted in Borgarnes, West Iceland, after disappearing to warmer shores during the winter. The bird eith the arrow in its neck was first spotted in Borgarnes in April last year and then occasionally all throughout the year after disappearing in the autumn. It would therefore seem that incredibly, the bird actually flew across the ocean and back again, all the time carrying the large arrow in its chest.